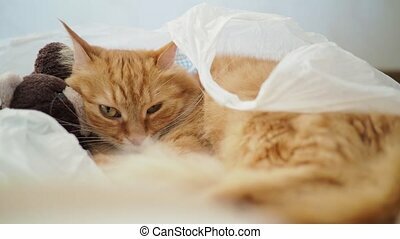 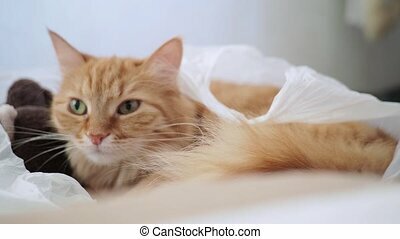 Cute ginger cat lying in plastic bag with plush toy bear. 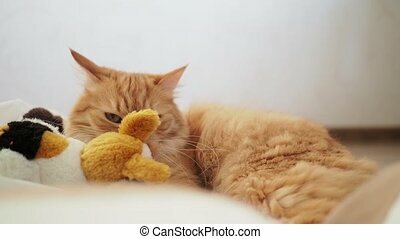 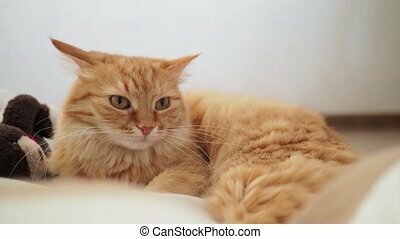 fluffy pet is dozing. 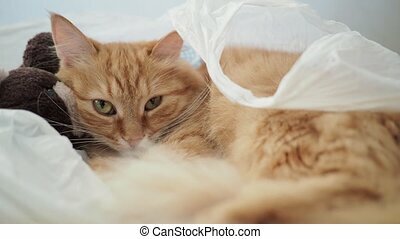 cozy home background with kitty hiding in toys from noisy baby.